In this era of online reviews, it seems people “review” everything. And services like Yelp, Avvo, and many others aggressively seek lawyers to advertise. Furthermore, they use “ranking” and “stars” to convey the skills of particular attorneys. Consequently, potential clients rely on these ratings when searching for representation. As a result, we are grateful for our reviews. But at the same time, we urge caution against relying on any one factor. 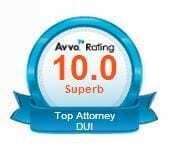 Rather, we suggest a full review of potential DWI attorneys and law firms. Most of all, we recommend actually sitting down with several lawyers before deciding which one is best for you. In the end, you should be both confident and comfortable with the lawyer you choose. When looking at other law firms, I am often amazed at the number of client reviews on their websites. And most reviews are very positive. Likewise, we are also proud of our favorable client reviews. But beware. After all, no firm or lawyer can please all clients every time. It is simply not feasible that all clients walk away happy with their result. 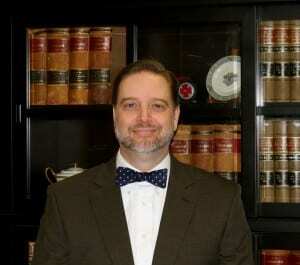 Rather, the only truly satisfied client in a Charlotte DWI case is acquitted. However, that is rare. So what we do for our clients is promise and then deliver our best efforts and good advice. In our practice, we do not promise any particular outcome. Rather, we first review all of the State’s evidence, including video. Then, we give you a comprehensive report and recommend options. Next, we answer your questions, and give you candid advice. Finally, with full information, you make decisions on what is best for you. We work for you. You are always in charge of your case. That’s just how we roll. Certainly, the best start in your search is to research the internet. Here is the good news. 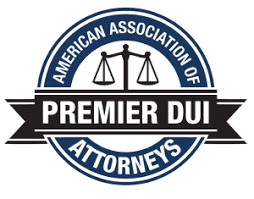 Some of the very best North Carolina DWI attorneys are right here in Charlotte. So how do you choose one over another? First of all, we suggest you compare their years practicing law, their credentials, and areas of focus. Next, read their online reviews from former clients. But look beyond the typical “great lawyer” or “awesome person.” Rather, see how the client was treated and whether the attorney returned calls and answered questions. After you narrow your search to just two or three, schedule a time to personally meet with them. Ask them hard questions and get a feel for whether you can work with this person. This is important. Legal representation is a lot like a relationship. First of all, there must be good and open communication. Consequently, your lawyer should be available when you need answers, even after regular business hours. Furthermore, with smartphones and email, there is no excuse not to be accessible. And we practice what we preach. So if our clients need us, we will be there. We know just a few minutes of our time or a couple of emails will help you sleep better that night. What Are the “Legal Elements of a Crime” in North Carolina? In North Carolina, and essentially every other state, any crime has four basic elements that must be proven before someone can be charged. The elements are the following: 1.) Actus Reus (physical act), 2.) Mens Rea (mental state), 3.) Causation, and 4.) Social Harm. Basically the State must prove that the accused performed a physical act that caused social harm with the intent to bring about the harm. The exact act or mental state that is required is usually defined in statutes. The harm is generally going to be result of the act that was committed, such as hitting someone or stealing. Causation basically just means that the act committed caused the end harm. The physical act is usually not difficult to prove since the person accused either performed a physical act or did not. However proving the required mental state is usually the most difficult part. It is not always necessary to intend to cause the harm. There are some crimes that only require criminal negligence to satisfy the mental state requirement. Criminal negligence basically means that when the act was performed you should have known that the harmful result could occur. There are some violations that do not require a showing of any type of intent, all that must be shown is that the act occurred. These are called strict liability crimes and are largely traffic violations. If you are charged with a crime it can be a scary and daunting situation. Hiring an attorney who understands complex criminal and procedure can impact the outcome of your case and help you get the justice you deserve. Contact the law offices of Robert J. Reeves, P.C. toll-free at 877-374-5999 for a free consultation with one of our criminal defense attorneys. The North Carolina Supreme Court recently made a decision the case of State v. Ortiz-Zape, that asked them to decide whether a lab test could be admissible in court if the person who conducted was not available to testify. Ultimately the court decided that someone other than the person who conducted the test could testify as to the results of the test so long as they are able to make an independent opinion about the test. In other words, the person testifying would have to review the test results and form their own opinion about the test and not just rely on the person’s conclusion that did the test. The case arose from an incident that occurred in Mecklenburg County in 2007. A man was stopped by police because of a traffic violation. Police discovered cocaine in the vehicle during the stop. The cocaine was sent to the crime lab to be tested, but the technician who performed the test was no longer employed with the lab when the case went to trial. The defense argued that the technician who performed the test had to testify to the results in order for the evidence to be admissible. The case made it up to the North Carolina Supreme Court, who made the decision discussed above. The North Carolina Supreme Court heard other cases that presented the same question. Basically the law in North Carolina as it stands now regarding testimony is that an analyst who did not perform the test may testify as to the results of the test so long as the expert forms his or her own opinion. In order for a substitute analyst to testify to the results the prosecution must lay the proper foundation for the testimony, that is that the prosecution must show that analyst formed an independent opinion and the test that was performed is reasonably relied upon by experts in that field. A substitute analyst cannot just simply agree with what the previous analyst who ran the test concluded, he or she must have an independent opinion. However, if the defendant in a case admits that the substance in question is in fact a controlled substance then it is not necessary to have a chemical analyst testify to the results of an analysis. Additionally “machine-generated raw data” may be admissible at trial without having an expert testify. This generally includes data that is printed out by a computer during the testing process. Any opinion as to a conclusion based on the test would require an expert to testify and be qualified to testify to that opinion. This issue has raised several debates throughout the legal community. The legal issue requires a look at the Confrontation Clause of the Constitution which permits someone who is accused to confront their accuser. Some believe the decision is wrong because a defendant should be permitted to cross-examine the person who actually performed the test in order to determine if their opinion is credible. Others believe that being able to cross-examine an expert who is familiar with the testing procedure and results of the test is sufficient. The United State Supreme Court has not yet weighed in on this issue, so the law may change in the future. In North Carolina there has been several issues getting lab test results back in a timely manner because of the backlog at the state’s crime labs. Trials are being delayed and DWI cases are being delayed up to a year awaiting test results. Part of the reason for the backlog is that lab analysts who perform the tests have to spend time in court, which delays the processing of new tests. It is unlikely that this new decision will have much effect on this problem, as a technician will still be needed to testify to the results although it does not have to be the technician who actually performed the test. If you or a loved one has been confronted with the aformentioned situation, contact the law offices of Robert J. Reeves, P.C. toll-free at 877-374-5999 for a private, confidential consultation to review your case. This year has brought about a lot of additions and amendments to criminal law legislation in North Carolina. Here is a list of some of the most notable changes to the criminal law scheme in North Carolina. 8.) The move-over law, which requires drivers to move over or slow down when an emergency or public service vehicle is parked or standing within 12 feet of a roadway while giving a signal has been expanded to include in the definition of “public service vehicle” utility service vehicles and highway maintenance vehicles with amber-colored flashing lights. If you should find yourself in a situation where you have been charged with a DWI you need to contact an attorney who has the experience and knowledge necessary to handle your case with the care it deserves. We defend DWIs and DUIs in Charlotte, Mecklenburg County, Pineville, Cornelius, Huntersville, Lake Norman, Pineville, Matthews, Mint Hill, and UNCC. For a private, confidential consultation with one of our experienced DWI lawyers, please call 704-499-9000 or toll-free 877-374-5999 even on weekends or holidays. Visit our main page here. Over the holiday weekend several DWI checkpoints were set up across the state of North Carolina. The initial numbers of arrests during those checkpoints are just now starting to be reported. The Jacksonville Police Department recently released how many arrests they made during the DWI campaign that ran from June 28 to July 7. The effort to crack down heavily on DWIs over the holiday weekend was part of a state wide campaign named Operation Firecracker. The Jacksonville Police Department reported 7 DWI arrests were made as well as one arrest for DWI while under that age of 21. Several other traffic citations were issued including speeding and insurance infractions. Police also captured 6 wanted people during the campaign period. In total 376 violations were discovered during the enforcement period.